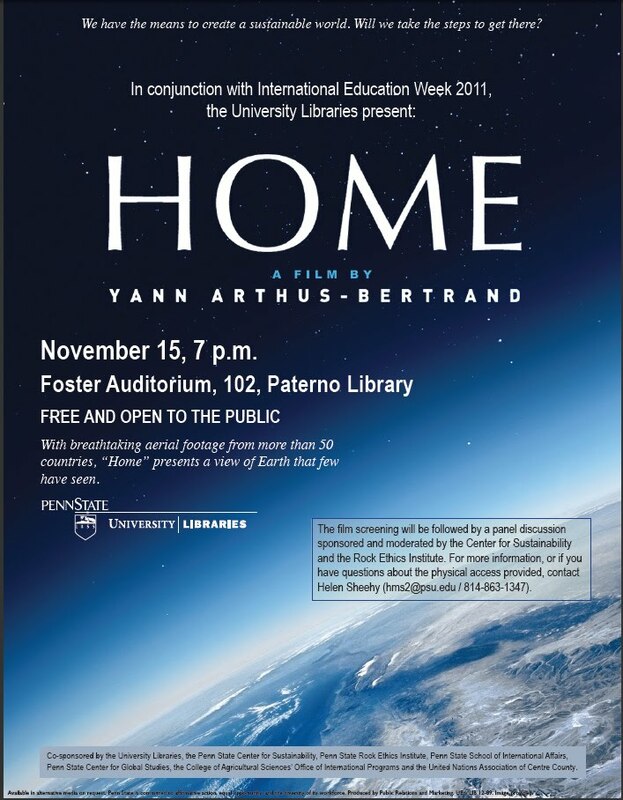 "Home," an educational film about the present state of the global environment, offers a view of Earth that few have seen—breathtaking aerial footage that sweeps across the terrain of more than 50 countries. Arthus-Bertrand is the author of more than 40 books, including the bestselling "Earth from Above." His photography has appeared in the National Geographic, Sierra Magazine, Life and GEO. He is president of www.goodplanet.org, an environmental non-profit organization. The film is cosponsored the United Nations Association of Centre County and is being held in conjunction with Penn State's International Education Week.